Baby Huey and Bimbo Jimbo talk to WWE Hall of Famer and worldwide inspiration DDP, Diamond Dallas Page about his career and new book “Positively Unstoppable: The Art of Owning It.” Plus, they recap the latest from all around the wrestling landscape, including this week’s episodes of Raw and SmackDown Live. Diamond Dallas Page‘s new book “Positively Unstoppable: The Art of Owning It” is out now. Positively Unstoppable is available online and in stores now. Available wherever books are sold including: Amazon, Barnes & Noble, Google Play, Apple’s iBooks, etc. 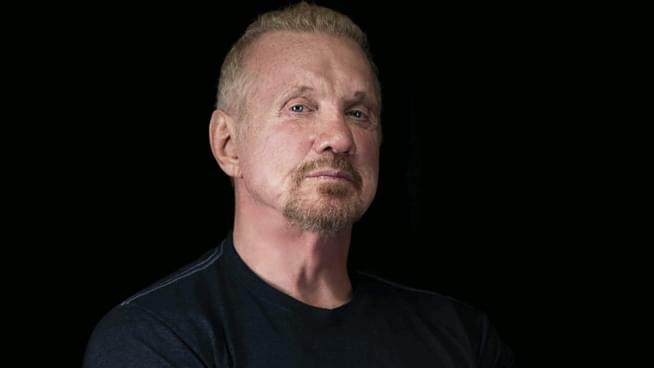 World-renowned WWE Hall of Famer turned fitness guru Diamond Dallas Page wants to transform your life! In Positively Unstoppable, Diamond Dallas Page gets to the core of what may be holding you back from profound life change—physically, mentally, and emotionally. After decades of helping others make radical transformations in health and fitness, he brings his understanding of what really moves people to change and own their lives. Page’s gift of authenticity has helped him motivate those who may have lost hope, because he truly understands the incredible power of self-belief. Filled with lessons from Page’s life that share his own struggle to find his calling, overcoming one obstacle after another, Positively Unstoppable is a bible for anyone who needs to be re-inspired to follow their dreams and take real action towards the things that matter most to them. Page includes many powerful transformation stories, effective goal setting guides, as well as a sample workout, eating plans and delicious gluten-free, non-GMO recipes from his wildly popular fitness program, DDP YOGA. Positively Unstoppable is your roadmap to getting “unstuck” and taking the steps needed to create a magnificent, positively unstoppable life.